The Micropol MC3 polisher is a compact, electrically controlled, precise mechanical sample grinder/polisher designed for planar grinding, dimpling, thinning and polishing of TEM samples. The polishing parameters (speed, load, time) can be adjusted according to the requirements of the specific specimens and materials. High quality samples are prepared with minimal efforts. 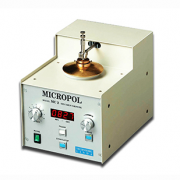 The arm of the Micropol MC3 moves the specimen in a semi-random geometric pattern, pressing it gently to the polishing bowl which contains suitable abrasive material. The abrasive materials can be grinding paper or suspensions of polishing compound on a polishing cloth. 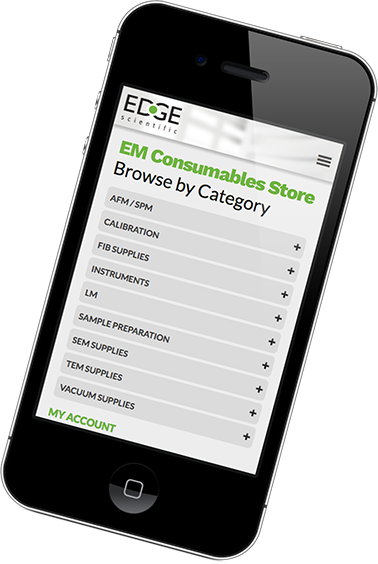 This versatile instrument is supplied with flat polishing discs and specimen holder for planar samples and with spherical bowls and specimen holder for dimpled samples. The bowls can be rapidly changed using the quick exchange bayonet mounts. The Micropol MC 3 is supplied with a selection of bowls and consumable starter kit (Ø44mm abrasive papers 240 & 400 grit, polishing cloth, diamond paste 1 & 10um and thermoplastic wax). Thickness measuring kit included.